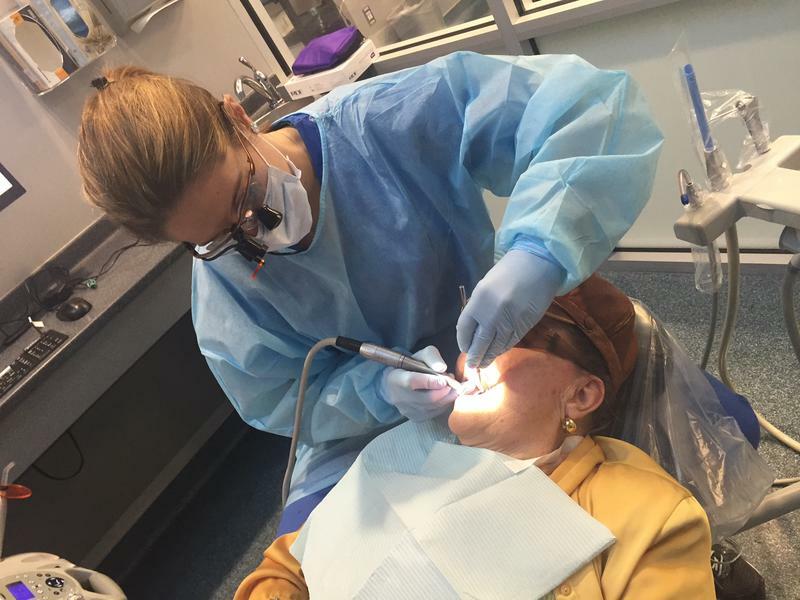 Eileen Derby, a Colgate dental hygenist, offers free dental screenings to anyone 12-years-old or under for the Oral Health Equity Summit in Miami on Tuesday, March 27, 2018. Discussion pannel for the annual Oral Health Equity Summit in Miami on Tuesday, March 27, 2018. 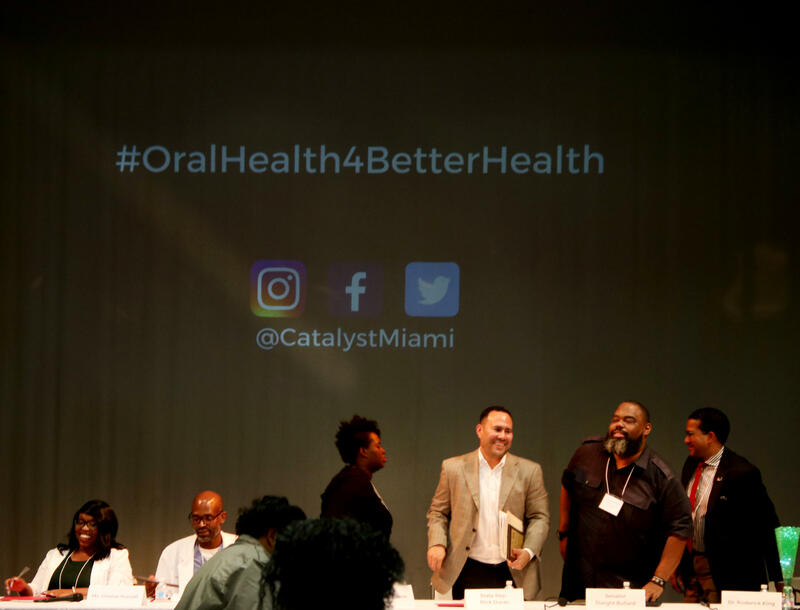 Dental hygienists and policy experts gathered at Charles Hadley Park on Tuesday evening to discuss the importance of oral health equity and its impact on Miami-Dade County’s economy and social climate. “There is no coincidence that the availability of doctors is prevalent in certain communities and in other communities it isn’t,” said Nina Thompkins, the community health director of Catalyst Miami, a non-profit focused on local development that put together the event. Dental hygienists and policy experts gathered for the Oral Health Equity summit Tuesday, March 27, 2018 at Charles Hadley Park in the Liberty City area of Miami. 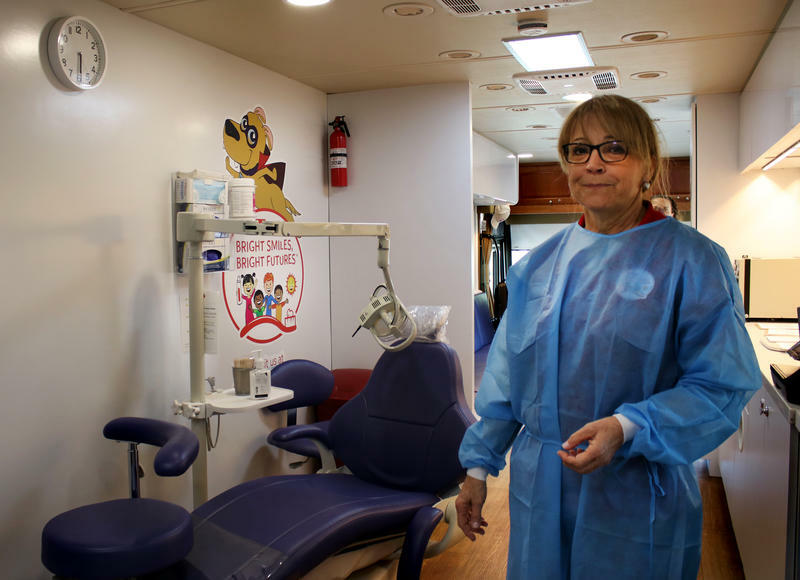 In front of the park was a Colgate Mobile Dental Van offering hygiene education and free screenings for children 12-years-old and under. Toothaches are the number one reason Florida children miss school, according to the Florida Dental Association. The biggest challenge right now for oral health equity is the absence of data, especially data focused on minorities. “If there is no data, there is no problem,” said Roderick King, CEO of the Florida Institute for Health Innovation. He recommended mandating oral health exams, teeth sealing programs and partnering dental hygienists with pediatricians, a solution he is currently working on developing. However, some solutions that have reached legislators have been rejected. This includes one proposal that aimed to place dentists in low-income communities in return for help on their student loans. Much of the discussion turned to Medicaid, which covers low-income communities but does not give enough incentives to professionals to practice in those communities. “We need to vote for people who care about our oral health,” said Santra Denis, vice president of prosperity for Catalyst Miami. 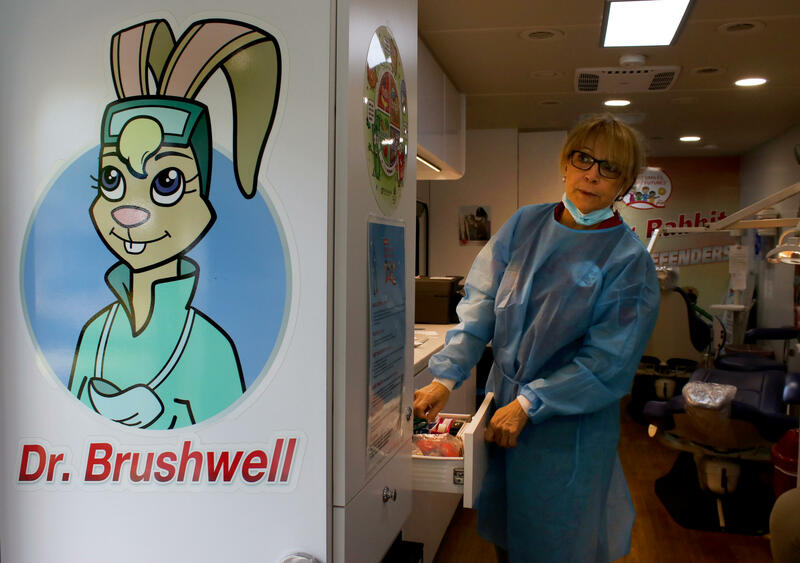 For the past six years, Dr. Marisabel Olivera has had hundreds of kids bring shopping bags filled with Halloween candy into her office, Journey Kids Dental, in Fort Lauderdale. Jessica Stefonik is grinning. She's got a bounce in her step. Her cheeks are a little puffy and her speech is a bit thick. "It feels weird right now, but I'll get used to it," she says. 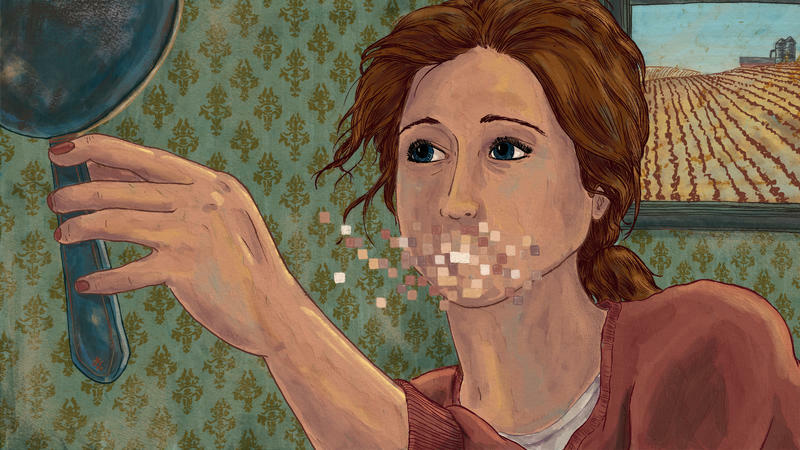 What she's trying to get used to is the feeling of having teeth. On the day we met, Stefonik, a mom of three from Mosinee, Wis., got a set of dentures to replace all of her upper teeth, which she lost over many years to disease and decay. Stefonik is just 31 years old.